ECO Engines, Inc. is one of the last engine shops in New Jersey that still installs Jasper engines and transmissions and is your best choice on any engine work that you might need. Our courteous, capable, and highly qualified staff of mechanics work long and hard to make sure that your car can, too. More than that, we have a list of things that we can do to help your car run better, longer. • Our technicians can generally get a job done in three to five days. • We offer a full, nationwide warranty for either three years or 100,000 miles on all of our new engines. • We stand by our customer satisfaction guarantee. If something isn't working the way it should, let us know—we'll fix it. • Depending on the case, we can help cut costs even more by finding a quality used part to fix the problem—and that carries with it a 90 day to six month warranty on parts and labor! 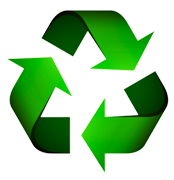 We recycle all of our oil & oil filters, anti-freeze, and all scrap metals.